The highlight of this tour will certainly be the Local Day of the Dead Celebration. The annual Fesival Dia de los Muertos will be held on Nov 1 & 2, in the town square there will plenty of activity and ceremonies to participate in! There will be a stage set up in the plaza, with music and traditional folk dancing starting at 7PM both nights. The ceremonial lighting of candles on the altars will be at 11PM Nov 1. Altars will be set up throughout and around the plaza and the cemetery will be aglow with flowers and candles. There will be a midnight candlelight procession from the plaza to the cemetery 11:30 PM on Nov 2nd, it is sure to be a beautiful celebration! 5:00-7:00 Opening Circle and Guac-tails (yes, this is guacamole and cocktails time) After arriving and settling in, we’ll set our intentions and create group alter honoring our ancestors and those who have come before us. We will spend time in ceremony connecting to our past with our present hearts, to the land and to the spirits with ceremony, song and a welcome celebration. 7:00 Welcome Dinner (at favorite local restaurant). 10:00-12:00 Ancestral Healing Journey Lupo will lead a Plant Spirit Healing exercise that allows participants to release any ancestral burdens one may be carrying. These burdens are often held in our energy body and can limit us in various ways. Through this journey we will lay down our ancestral burdens and anything else may be keeping us from our full and true expression of self. This ceremony will be followed with herbal, aromatic and plant spirit healing rituals. 1:30-3:30 Water Plant Spirits Healing Ceremony Following the beautiful and fulfilling experience of the Fesival Dia de Muertos activities, we will release and cleanse our cares away in a reiki healing water ritual, lead by Ilana and held in the pool overlooking the ocean, surrounded by flowers and relaxing energy healing. This ceremony is meant to cleanse and support our spiritual and emotional bodies and prepare us for the second half of our journey. 10:00-12:00 Visit with Local Crafts People and Farmers Market After breakfast, we will take a stroll into town and visit the numerous local craftspeople who work closely with the plants in various ways and visit the local farmers market. Lupo will introduce you to the weavers, textiles and artists that make Sayulita so special. We will also visit the beautiful work of the Huichol, the local, indigenous tribe. The art of the Huichol is personal and captivating, with complex designs, vibrant colors and sacred symbols. Free Day to Celebrate Dia de los Muertos at your own leisure! Throughout the town square there will plenty of activity and ceremonies to participate in! Head to the beach for the day! Los Muertos (Beach of the Dead) is our local favorite! Engage in a plethora of local activities including surf lesson, whale watching and hiking. We are more than happy to assist you in making accommodations as needed. Just ask! 12:00-4 Field Trip & Beach Adventure to San Pancho!! San Pancho is Sayulita’s sweet little neighbor to the north. Formally called San Francisco, San Pancho shares Sayulita’s small scale and beachfront locale, but it has a very different vibe and is quite a special place and well worth the visit. San Pancho is a quaint and colorful town offering beautiful architecture, restaurants, yoga centers, jewelry shops, cafés, local crafts people and of course stunning beaches. 10:30-12:30 Setting intentions with sacred crafts. We will spend the morning working with the various local plant dyed textiles and yarns that this region is so well known for. 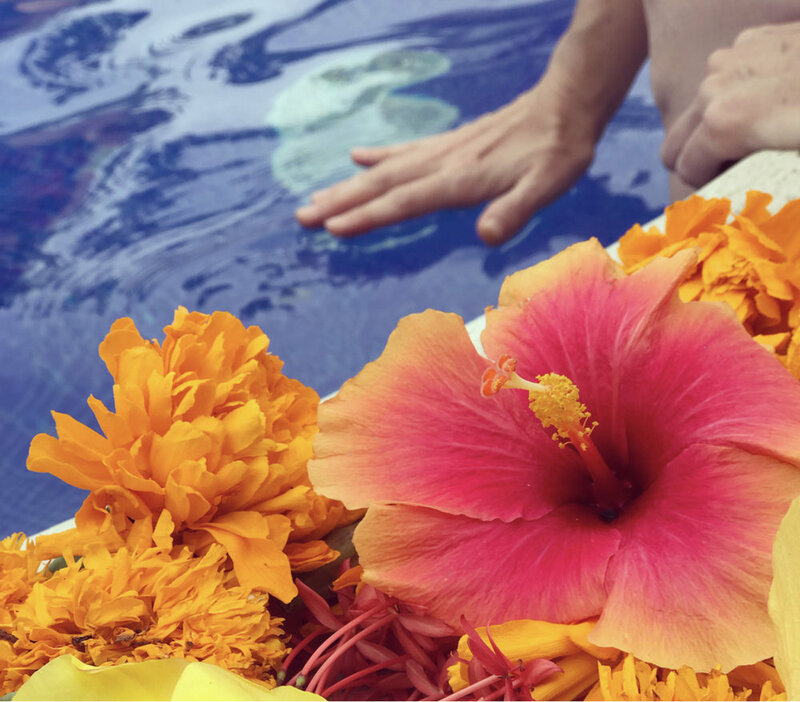 Using our intentions we will create beautiful and sacred pieces of art that will be meant for you to take home so that you always have a piece of Sayulita and our amazing adventure to place on your alter or in your sacred space. 12:30 pm Lunch, Free Afternoon This afternoon will be left intentionally open and we will see where the day takes us. Participants may want to spend a lazy afternoon by the pool or with the ocean or we may find another activity that speaks to the group as a whole. There are also various activities such as whale watching, surfing, hiking or other adventures that you may want to fit into your final day in Mexico. Most breakfast and some meals will be served at Casa Salita and are included in the cost of the tour and are outlined on the itinerary above. Please read the itinerary carefully so you know which meals you are responsible for. Dinners, other than our first and last night together are NOT included in the cost. A budget of $10-20 per day will get you a nice dinner in town, but most people find that between the continental breakfasts and hearty lunches that are served at Casa Salita, a quick bite at one of the many local taquerias is more than enough. Pick up and drop off from Puerto Vallarta International Airport (PVR) and travel to and from San Pancho. There are 7 beds available but we can accommodate up to 10-12 people, depending upon shared rooms. Double occupancy will include a shared king size bed, bathroom, kitchen and balcony and there will be a $400 discount on shared rooms. A deposit of $800 will be required to cover your deposit and final payment ($1000) will be due by September 1st, 2019. Restaurant owner, Jason Adelman and Photographer extraordinaire Jennifer Manna. "We fell in love with Sayulita in 2011 when we purchased a diamond in the rough. 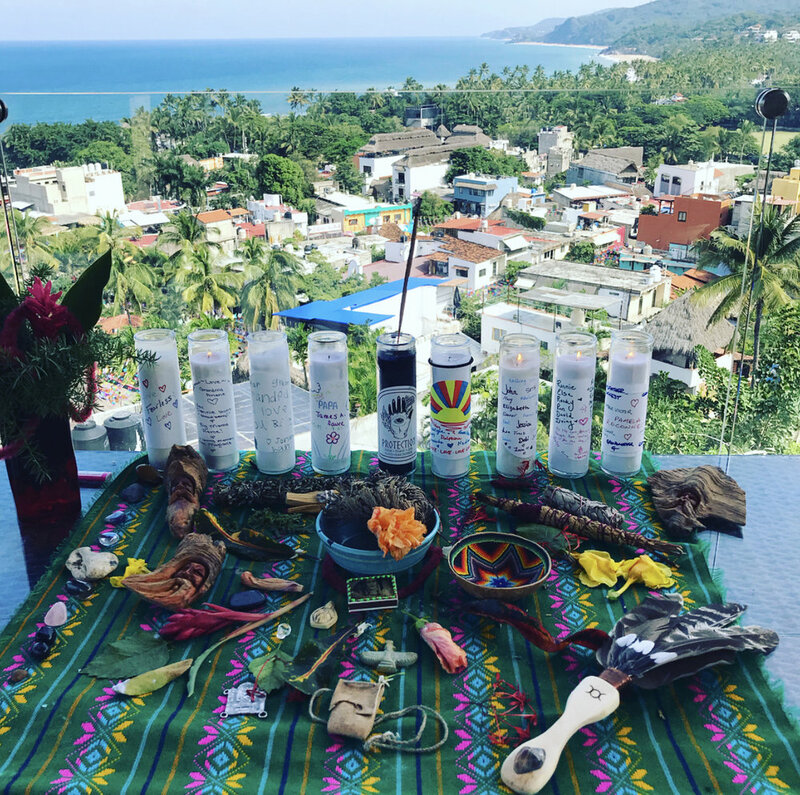 We have updated Casa Salita with love over the years and hopefully you will love our home and Sayulita as much as we do." ** Please note, by registering for this tour you acknowledge Twin Star and Shakti Exchange LLC acts only as agents for the various independent suppliers that provide hotel accommodations, transportation, sightseeing, activities, or other services connected with this tour. Such services are subject to the terms and conditions of those suppliers. Twin Star and Shakti Exchange LLC and their respective employees, agents, representatives, and assigns accept no liability whatsoever for any injury, damage, loss, accident, delay, or any other incident which may be caused by the negligence, defect, default of any company or person in performing these services. Responsibility is not accepted for losses, injury, damages or expenses of any kind due to sickness, weather, strikes, hostilities, wars, terrorist acts, acts of nature, local laws or other such causes. All services and accommodations are subject to the laws and regulations of the country in which they are provided. Twin Star and Shakti Exchange LLC is not responsible for any baggage or personal effects of any individual participating in the tours / trips arranged by Twin Star and Shakti Exchange LLC. Individual travelers are responsible for purchasing a travel insurance policy, if desired, that will cover some of the expenses associated with the loss of luggage or personal effects as well as their personal health insurance policy. Twin Star and Shakti Exchange LLC is not responsible for providing your health insurance or healthcare while on the trip, are not responsible for any flight cancellations or changes to your personal travel itinerary not provided by the trip. The itinerary and schedule are available on twinstartribe.com and the exact activities may change slightly based upon weather while on the trip. Occasionally weather can become an issue and we reserve the right to not participate in a certain activity if it is deemed unsafe due to weather but we will replace that activity with another of equal value.